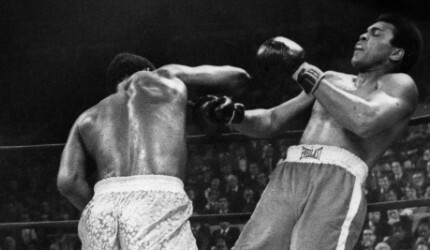 The night of March 8, 1971 was the night for the “Fight of the Century” – Muhammad Ali versus Joe Frazier – at New York’s famed Madison Square Garden. 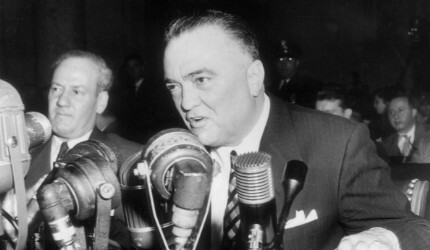 Millions of fans around the country were glued to their radios to hear the broadcast – millions, that is, except for eight unlikely burglars, who used the fight as the perfect distraction for their infiltration of J. Edgar Hoover’s feared FBI. Using lock picks and crowbars, the activists – among them a young married couple with children, a cab driver, and a religion professor – broke into a suburban Pennsylvania FBI office. Despite a massive FBI manhunt, the burglars were never caught; the statute of limitations ran out, and their identities were never known. Until now. 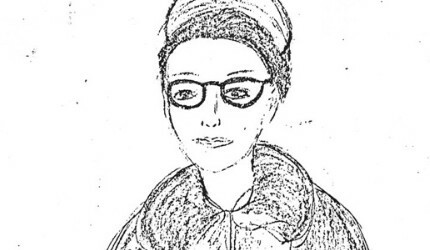 Journalist Betty Medsger was the first to report the story, and she's just published her book called "The Burglary: The Discovery of J. Edgar Hoover's Secret FBI." She writes that long before Edward Snowden and his leaks about the U.S. National Security Agency, American activists believed that there was government malfeasance that needed to be made public. Their break-in would be a success, and the documents they found confirmed their fears. Before fight night, the activists knew that they needed to know all about the building they were targeting. When they gave her an appointment, she disguised herself as a college student – she was 29 at the time – and went in. The fact that they showed her so little suspicion, she told Amanpour, showed the instigators that they would be able to break in without issue. In breaking into an FBI office, the Raineses were taking a huge risk not only for themselves, but for their young children. “We were not reckless in any regard,” she said. Had they been caught, John said, they had arranged for his older brother to care for the children. Departing the building weighed down with documents, the burglars jumped into a station wagon and drove to a nearby Quaker farmhouse. They set up tables, and immediately set to work sorting through the papers, not knowing what they might come across. 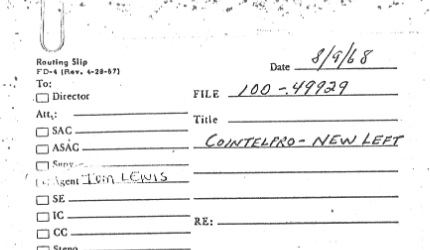 The notorious FBI surveillance of Martin Luther King, Jr., for example, fell under COINTELPRO. The burglars would meet with vindication when, a few years later, a Senate investigation – the Church Committee – released its report on government surveillance. “Too many people have been spied upon by too many government agencies, and too much information has been collected,” the report read. It draws striking parallels to today. President Barack Obama is expected to lay out reforms to the NSA, after a special panel investigating Edward Snowden’s leaks called for new limited on the nation’s intelligence agencies. “Surveillance, it seems to me, is very different now than it was then. It was much easier for the public to react then,” Medsger said. The activist groups of the 1960s and ‘70s “felt the paranoia” that the government was trying to create, she said. I wish it was a free country. Only for the rich and those making the rules. I hate even writing that but there is a tilted playing field that is continually denied. if you think about it, Hoover and his merry band of thugs were far worse than the NSA has been. Hoover condoned violence and the out and out breaking of the law. The NSA simply gets a file from the phone company or ISPs and scans data. Both are abusive programs, neither acceptable. Are you sure that is all the NSA is doing? How do we know for sure and how do we know what information the give to other agencies such as the FBI to do the dirty work for them. One thing I've learned in my nearly 70 years of life is do not trust the government. Hoover had dirt on every congressman, and would simply let it be known to them that he knew. Troublesome congressmen would fall into line. The NSA can simply search a rep's phone records and ask him: "Haven't you been making a lot of personal calls to that pretty woman who stopped working in your office 6 months ago?" Information is power, and the idea that every NSA operative lives by shining ideals is ludicrous. The most frightening thing about the "Person of Interest" scenarios is how possible it is. The NSA does much more than what you describe friend, it's just that less is known about them which makes them more sinister. We kid ourselves if we believe this is truly a democracy with anything resembling equal rights or protection under the law. Fear works to the government's advantage and we are a fearful nation. I appreciate what these people did, the thinking that "made them do it," but I cannot condone the breaking and entering part. It surely is more difficult to be lawful in resolving perceived or real governmental tyrannical acts, but we simply have to solve our problems within the law, even if we have a criminal government, which we do. But how do we hold ourselves above anyone else when we break in and steal stuff? I don't see this as heroic. We resolve unlawful acts by committing unlawful acts? And, really, honesly, what PRECISELY was accomplished by the good folks break-in? Maybe I'll buy the book to find out. The patriots that rebelled against the British to FORM this country were breaking the law. The poster is obviously TOO YOUNG to know just how powerful J. Edgar Hoover was. He had embarrassing files on EVERY member of Congress and EVERY President most judges and Federal Attorneys. There have been many revelations about how HE violated the law at every turn. There was no one he could not control in the "justice system" to pervert justice and incarcerate anyone who tried to oppose him. There was no "Freedom of Information Act". In fact, it was these revelations and others like them that helped GET that passed. Really short thing to say, but with the amount detail and historic facts from this story a movie should be made! There is much to build off of and it would be a film that everyone would appreciate. I applaud these people for there actions. I served in the military 1966 – 1970 and it was no secret various government security agencies were taking actions to demean the Vietnam peace movement, peace protest, civil rights movement and civil rights protests. However no could prove it. Many of the peace and civil rights protest that resulted in violence was instigated by security agents who infiltrated peace and civil rights group. All you need do is research as much of this information is now public. So this was done to prove J.Edgar was a Fairy??? i think it was Frantz Fanon who said "man is born free but everywhere he goes he moves about in chains " how hapt. It's amazing how this strand of American citizens lack the basic capacity to accept complete and total responsibility for their own actions and their own thoughts. No wonder the intelligent, the stable and the rich get ostracized by the majority, at every stage in our lives. These childish activist types always miss the point and attempt to twist it all into something its not, to suit their own fears, their own ignorance, their own schemes and their own instability, without employing one iota of reason in their discourse, to themselves or to anyone else. Well, believe what you want to believe, live in darkness and feed your brain trash if you want to be a loser.